° Spacious 2 Story townhome with 3 bedrooms 2 baths, and 2 car detached garage. Laminated wood style floors throughout downstairs, with 1 bedroom and 1 bath. Second floor has 2 bedrooms with carpet, and Jack and Jill bathroom each side has its own separate sink and vanity. Large Master with 2 walk in closets. Cozy Backyard, with a large 2 car garage. This unit has lots of closet space, and yard care is included. 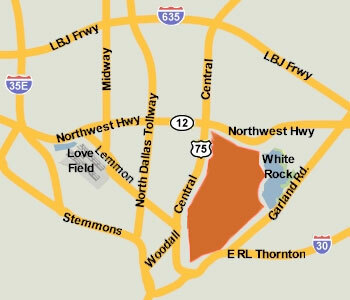 Near White Rock Lake, Central Market, and Northpark Mall with easy access to Highway 75 and Northwest Highway. ° Beautiful three-story Town-Home located a minutes walk from the popular Lower Greenville strip. Property features four balconies and one patio. Spacious living and dining area provide open concept with natural lighting throughout. Hardwood floors, high ceilings and carpeted bedrooms. Truly an amazingly comforting home. Property provides enclosed exterior court yard with attached two car garage. ° Additional Info: Pets allowed limit 1, unfurnished, onsite W/D connections, 2 covered parking space(s), 2 fireplace(s), Dallas ISD. ° Terrific Single Family attached with hand scraped hardwood floors, open living, kitchen and dining with tall ceilings, fireplace, granite counters and stainless steel appliances, fenced side yard, front study, huge master bedroom with a fantastic bath and walk-in closet, 2 additional bedrooms with a jack and jill bath, and nice size covered balcony overlooking the front yard. Easy to show and lease! ° Tastefully updated townhome in the heart of the M-streets. Open floor plan, surround sound speakers, & wet bar great for entertaining. Modern chef's kitchen with custom cabinets, chic countertops, gas cooktop, & premium appliances. Backyard with gorgeous covered patio, outdoor fireplace, tv mount, & synthetic Bermuda grass. Bedrooms all upstairs. Master bed with multiple walk-in closets, balcony, dual sinks, stand alone shower, & jetted tub. Utility room just outside master. 2nd living room upstairs with small work nook. Energy efficient lighting, water filtration system for entire home, wine fridge, security system with cameras, & Nest thermostats are just a few of the many upgrades. This property has it all! ° Additional Info: Pets allowed limit 2, unfurnished, onsite W/D connections, available now, 2 covered parking space(s), 1 fireplace(s), Dallas ISD. ° Beautiful two story Townhome on Chicory Ct with a 2 Car detached garage and private backyard. The first floor has ceramic tile throughout, a half bath, wood burning fireplace, and nice eat in kitchen. It has a large living area with built in shelves, and cabinets. Large second story with carpeted bedrooms and tiled bathrooms. All four bedrooms are upstairs, with large master bedroom, and 2 full baths. Master bedroom has a walk in closet and additional closet, mirrored dressing area, and master bath. Yard care is maintained by the owner, and refrigerator is included. Great location near White Rock Lake, Central Market, and has easy access to Hwy 75, and Northwest Highway.